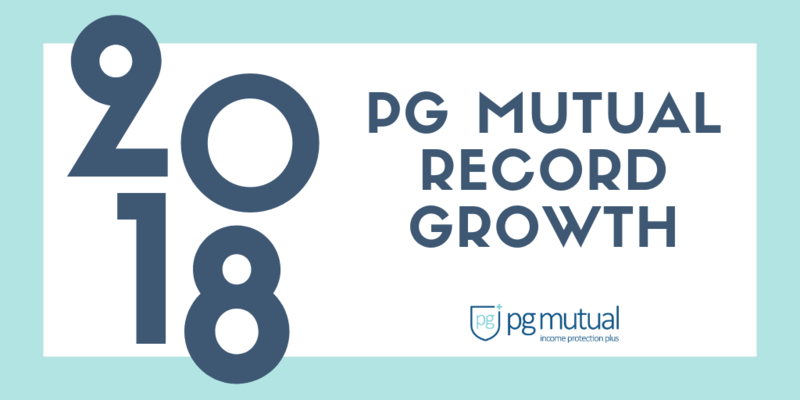 PG Mutual are pleased to announce for the second year running a record increase in new policy sales and total number of new members joining us. In 2018, PG Mutual increased new policy sales by 34% and membership by 12%. Free access to a confidential Telephone Counselling and Helpline Service*. Perry added, “We have particularly noticed in 2018 younger professionals are joining us as they now realise that Statutory Sick benefit, whether employed or self-employed, will not be enough to cover their mortgage, rent and regular outgoings and may even mean dipping into their savings. As more and more families rely on two salaries, if one salary is lost due to illness or injury, covering the monthly bills can become very difficult and extremely worrying. Having an income safety-net in place until you can return to work takes that worry away. As a not for profit mutual new members value the profit share element of Income Protection Plus with PG Mutual, they feel protected and valued”. PG Mutual is the trading name of Pharmaceutical & General Provident Society Ltd. Registered office: 11 Parkway, Porters Wood, St Albans, Hertfordshire AL3 6PA.